Don't see your group's event listed below? Let us know and we'll add it! There are lots of user-driven events held each week! Check out the KC Geek & Gamers group for details, but don't forget to also check out other KC-area MeetUps. Tons of tabletop role-playing, miniature, and board game events each week at Pawn & Pint in Kansas City's Crossroads District! Role playing and board game event held the second Saturday of each month. Location rotates between area game stores. Check the Game Day page for details monthly! Join the Pathfinder Society's living campaign for weekly and monthly adventures! 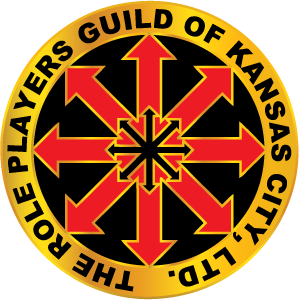 Greater KC RPG Day is a day of free RPG gaming held four times a year, hosted at Tabletop Game & Hobby in Overland Park, KS. Each year in November several area tabletop gaming organizations come together for the Midwest GameFest. It's a giant mashup of board games, role playing games, historical miniatures, wargaming, card games... you name it! The Guild's own storied convention, several days of gaming in November of each year. This year ShaunCon is proud to be a part of the Midwest GameFest! Historical Miniatures Gaming by HM-HAMGS. Borderwars is usually held in May, and is also a part of the Midwest GameFest in November. A two-day tabletop hobby gaming convention in the heart of Missouri. Usually held in October, ClawCon features miniature wargames, Magic: The Gathering, role-playing events, and more! Another great area convention, usually held in July. Comics, cosplay, media personalities, and gaming! A yearly tabletop game convention held online and in person in Colorado Springs, CO, usually in March. Kansas City's biggest media con, with comics, media, a huge gaming area and more! Miniatures and gaming convention in Lee's Summit, Missouri, usually held in September. A yearly gaming convention in Memphis, TN aligned with SCA's House Shadow Legion and former Guild member Michael Curnutt. Usually held in January. Comics, cosplay and more each March in Warrensburg, MO! Wichita's premiere tabletop gaming convention, usually held in October. UnderCon is the gaming arem of ConQuest, Kansas City's long-running science fiction convention held each Memorial Day weekend. The "home" convention for the largest living campaign focused on the Legend of the Five Rings world, usually held in March. Heroes of Rokugan has attracted thousands of players from around the world to take part in a collaborative storytelling and gaming experience like none other.